The Hot Box Vaporizer is one of the most efficient and revolutionary whip-style vaporizers available. 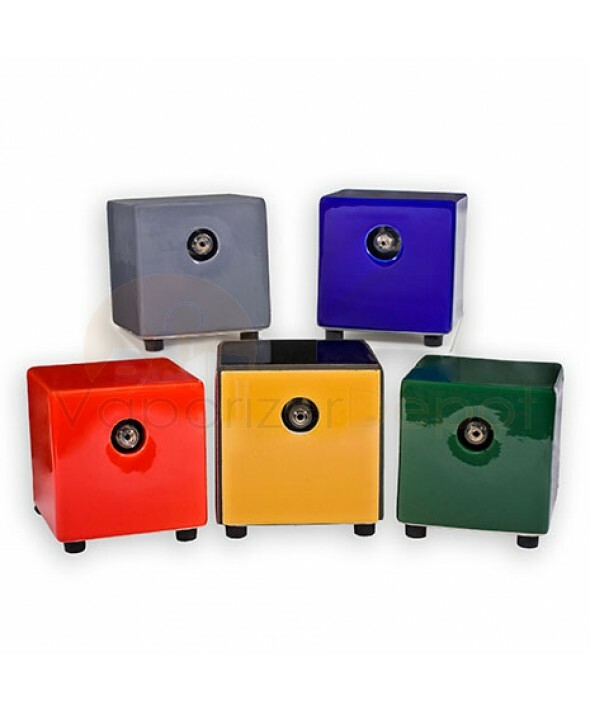 Boasting an simple, sleek design, the Hot Box is straightforward in use, providing an effective and healthy alternative to standard methods. This is a great option for vaporizer novices or for vaporizer enthusiasts looking for a dependable unit to keep at home. 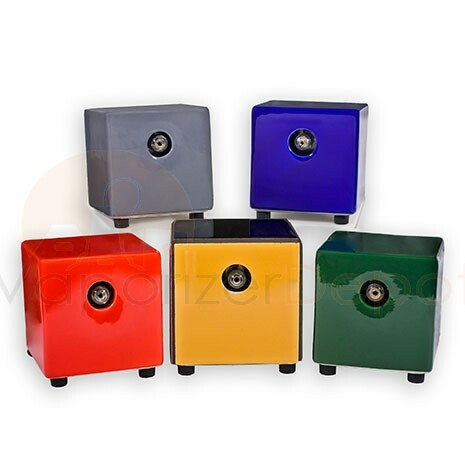 Available in a variety of colors and unique designs, the Hot Box comes in either Ground Glass or Standard Hands Free connection. Hot Box has earned a reputation as one the most dependable whip style vaporizers in the industry and for good reason. The Hot Box features a ceramic nichrome heating element that heats to a consistent temperature for even and efficient vaporization of your aromatherapy blends. Since the heating element is composed of all ceramic nichrome, the Hot Box Vaporizer heats up to its optimal temperature setting quickly and safely. Unlike other complicated vaporizers, the Hot Box has features a whip attachment which is very simple to use. It is a “Hands Free” system which means users place the botanical chamber over the ground glass heating element and hold the other end of the whip to inhale, so your hands don't have to hold the blends close to the heating element. The Hot Box whip ensures a consistent vapor flow from the attachment of the main unit to the inhalant. Only refreshing vapor will be produced. All Hot Box vaporizers come with a 5 year Warranty covering any defects surrounding the heating element. Don't worry about replacing balloon bag after balloon bag. With the Hot Box, your whip and wand are the only accessories you need to vaporize with absolute ease. Simply flick the on/off switch and wait 3-5 minutes for Hot Box to heat up. During this time we recommend you finely grind up your material remedies, attach your mouthpiece to the vinyl tubing (the "Whip") and load the wand a third of the way with the blends. Once the device is almost too hot to touch, you'll know it's ready to use. Place the wand up to the heating element and inhale on the mouthpiece. The intensity of the vapor will depend on the speed of the inhalation -- it's all breath-regulated, making this the most user-friendly whip vaporizer ever created. Now Hot Box offers the convenience of a hands free whip system with their Ground Glass Hot Box models. Ground Glass connections provide a tight, secure fit for your wand so you don't need to hold it up to the heating element. This has become the preferred method of whip vaporizing since it reduces the possibility of singeing your fingers against a 380 degree ceramic tile.